Have you seen this wizard? Why spend hours staring at a screen when you could be working on this delightful puzzle! 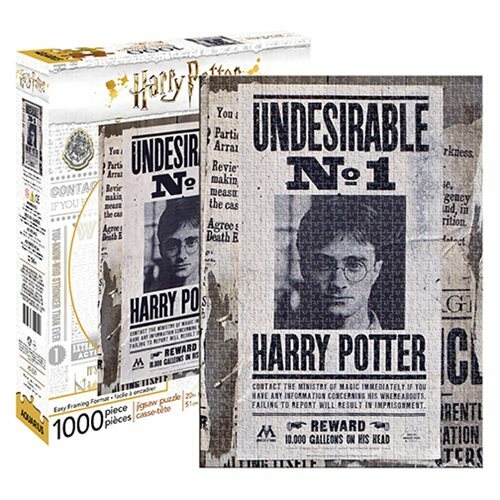 Assemble this Harry Potter Undesirable No. 1 1,000-Piece Puzzle to unwind from your day or on a relaxing day off. Measures 27-inches tall x 20-inches wide when completed.